ThyroLibrium seems to be yet another natural alternative to Armour and Lifter thyroid support complex tablets that was originally priced at $43.99, but seems to be on sale for $32.99 at the time of this review. 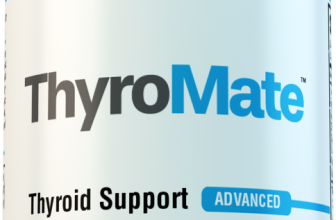 VH Nutrition, a company specializing in weight loss supplements, claims that as a hypothyroid support supplement, ThyroLibrum, has a natural helper and booster complex formula that may improve thyroid metabolism. However, we have reason to believe that this might not be entirely accurate. ThyroLibrium’s formula, consisting exclusively of a blend of herbs seems not to have stated studies backing their claims. Thus, this product may not be entirely effective. There is an upside in that the company offers a money back guarantee, but this seems to be the regular with many Thyroid supplements. You’ll need to reach out to the company to see exactly what the terms and restrictions are. 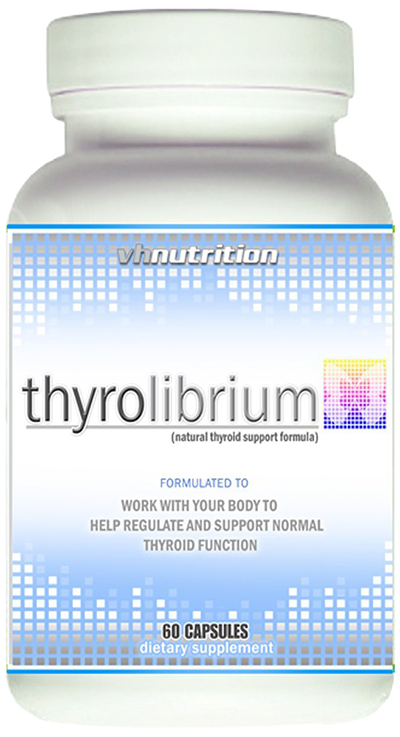 Created by VH Nutrition, a company founded in 2008 by a a triathlete and a powerlifter, ThyroLibrium is another product in their “weight-loss/appetite blocker” brand/suite. VH Nutrition states ThyroLibrium a “hypothyroid support supplement [that] has a natural helper and booster complex formula that may improve thyroid metabolism.” Their users also report they have increased energy, a boosted metabolism, improve stress response, decrease joint pain, increased libido & vitality, and a better mood. This almost sounds too good to be true! Let’s see if it measures up to what it says it is. As with any prescription or supplement, you should always fully read and research the label facts before taking the pill. The supplement facts label on the outside of the bottle, tells you exactly what ingredients are in the pill you are consuming and how much of the specific ingredient is in the pill. The ingredients that are in ThyroLibrium are: Rhodiola Rosea, Ashwagandha, Eleuthero senticoccus, Cordyceps, Eurycoma, Panax Ginseng. First thing you’ll notice is that these are herbs. This was very interesting to me. A lot of thyroid issues comes from the lack of minerals and vitamins found in daily diets. VH Nutrition’s decision to exclusively go the route of just herbs is quite surprising. I’m not sure if they were trying to save money by not including minerals and vitamins, but the end result is a formula that might be ineffective. Perhaps if there were individual studies that showed taking these herbs daily contributed to an overall healthier thyroid, then I could better believe the claims that VH Nutrition was making about ThyroLibrium. But at this point, it seems to me that what you have is a supplement that has random herbs mashed together with a “thyroid supplement” label on the back. It seems from the review online as well, you should not expect much effects and benefits in regards to your thyroid health. We were not able to find any independent reviews on thyrolibrium, except for Amazon and what seems like a lot of blog spam sites. It’s strange to me why this product seems to show up a lot of those blog spammy-looking sites. However, what is especially concerning is that some sites claim that the Amazon reviews for this product might contain a lot of fake reviews. Check out this analysis on the reviews : http://www.fakespot.com/product/thyrolibrium-thyroid-energy-and-support-supplement-for-men-and-women. Apparently a lot of the “reviewers” for this product on Amazon, also reviewed a lot of other products (giving all positive reviews) without even purchasing them, has done a total of 5 reviews for the same company, gave extremely positive reviews for a singular company, and had a large number of reviews created on the same date. It’s hard for me to recommend the product at this time. Especially when there are better alternatives on the market.